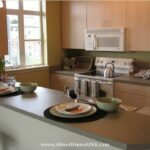 Almost Home offers a wide variety of Tacoma, WA corporate housing options for multiple kinds of furnished apartment set ups. To receive a temporary housing quote customized just for you in your desired area of the city, contact us today. We wish to help familiarize potential newcomers to life in Tacoma and therefore offer the following informative summary of various aspects of this city. Take a few minutes to acquire the knowledge of a long-time resident before you arrive. Tacoma is seeing the benefits of revitalization that began in the late 90s. Along with neighboring Seattle and Bellevue, Tacoma is facing growth from expansion overflow from the two neighboring cities. Tacoma also has an oil refinery and multiple offices of international companies like Mars Chocolate and True Blue Inc.
Tacoma experiences Pacific Ocean-influenced weather. The summers are dry and the winters are wet. The weather here is typical of the Pacific Northwest. There is some snowfall every year in the winter when the temperature only dips to about 35°F in January. Most of the moisture that falls on this area does so in the months between November and January. So, be sure to dress right and then venture out of your Tacoma, WA corporate apartment to enjoy the wide variety of outdoor activities that this area offers. Kelly's Cajun Grill on South Steele St: The diversity of the Northwest is unending and magnificent. This restaurant celebrates the taste and splendor of the south. They blend the fresh local produce of the region with the culinary heritage of the south and that results in magnificence. The Gumbo is divine. The grilled Catfish is brilliant and the cajun wings are awesome. Anthony's At Point Defiance on N Waterfront Drive: You will find delicious meals served in a high-energy environment. The lunch menu is made up of chowders and Stews, starters and salads and a healthy beer and wine selection. It all depends on how you feel. The Crab, Shrimp and Artichoke Dip is a great way to start lunch, or even the Shrimp Louis, is another way to go. Leaving your Tacoma, WA temporary housing is bound to present you with many interesting activities. We have listed a few possible entertainment options that may appeal to you. Malls: The Tacoma Mall is the largest mall in the Tacoma area. In addition to all the national chains and stores, the mall is also anchored by JCPenneys, Sears, Macy's and Nordstrom. The Mall is located on S Steele St. Golf: Some of the most picturesque courses in the country are here under Mt Rainier. Lush greens, long fairways and pleasant weather characterizes golf in Tacoma, with their lush foliage and scenic backdrops. 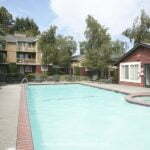 Whatever your reason for visiting Tacoma, Almost Home Corporate Housing is your best choice to provide you with a furnished apartment in Tacoma, WA that is perfectly tailored to meet your unique housing needs. Call us today to receive a quote or fill out our simple housing request form at the top of this page.